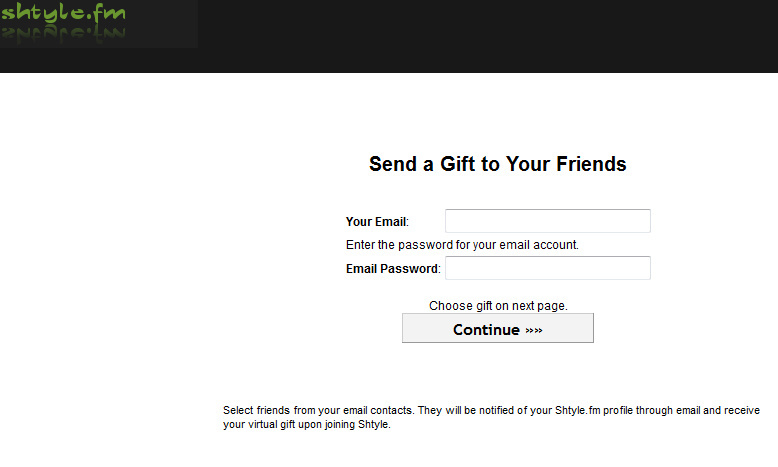 I recently received an invite for "shtyle.fm". If you never heard about it, you are in good company, as it can best be described as "Myspace's retarded cousin". So when I got the request from a family member to look at her pictures on there, I reluctantly started the sign-up process, making sure to only use throw-away info.... until this screen stopped me dead in my tracks. It promises a free virtual teddy bear! It requires you to fill in the credential of a real email account. The page has (at least) a XSS vulnerability: Enter "+alert(1)+" in the email box (with quotes) and see what happens. 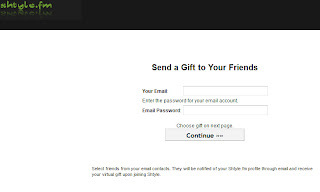 In case a connection is successfully made, the application will sift through your inbox for email addresses of your friends and send them personal invites in your name. Are we scared yet? No? Neither seems to be the thousands of happy users on that site. If you are somebody who gives up your credentials to anybody who asks, than that indicates how reliable you are. Don't count on borrowing my car keys. If you consciously sell out all your friends for the promise of a virtual teddy bear,... I think that says something about your moral value system.